As part of its Prime Day sale, Amazon has marked down its line-up of smart speakers by quite a significant margin. 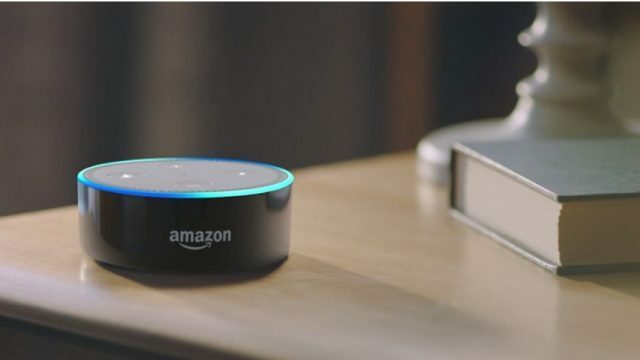 You can get the Echo Dot for Rs. 2,449 and the Echo for Rs. 6,999 right now. The smart speakers are usually priced at Rs. 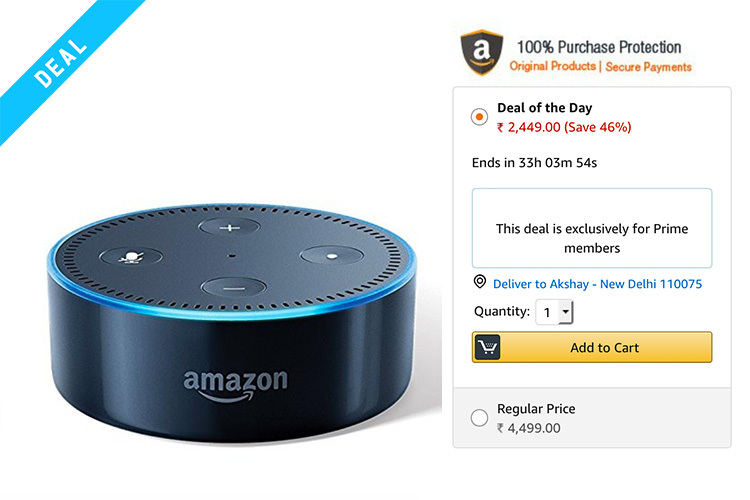 4,499 for the Echo Dot, and Rs. 9,999 for the Echo. Amazon’s smart speakers are compatible with a wide variety of smart home appliances, and at the discounted price of Rs. 2,499 for the Echo Dot, and Rs. 6,999 for the Echo, they are simply unbeatable. The company also sells two other Echo speakers in India — the Echo Plus, and the Echo Spot, however those smart speakers are not on sale.